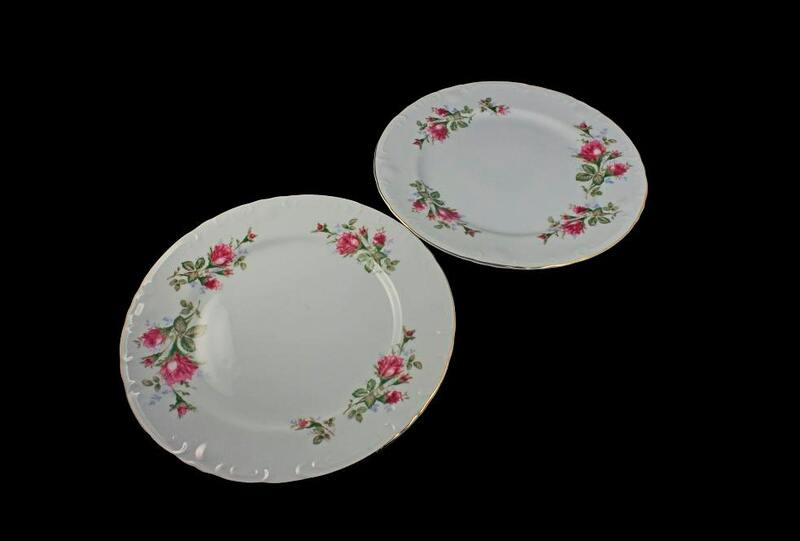 A lovely set of 2 dinner plates by Grant Crest. They are in the Royal Rose pattern. 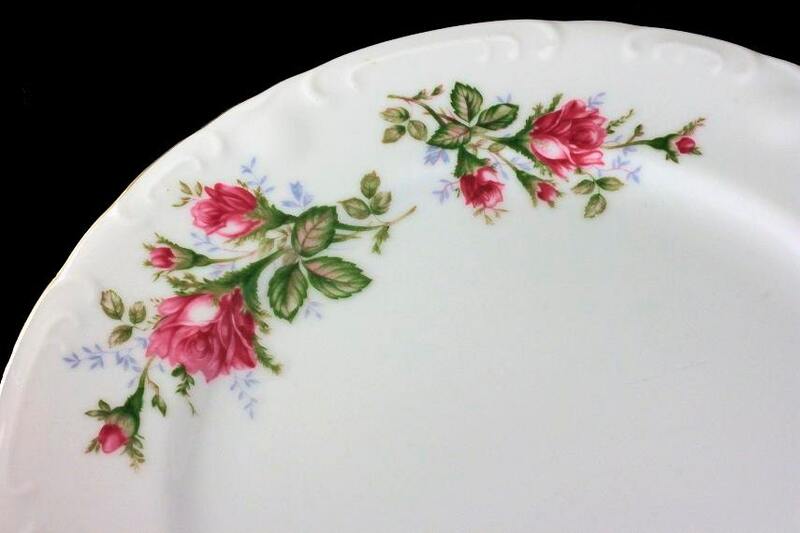 There are roses around the rim and the verge of the plate. 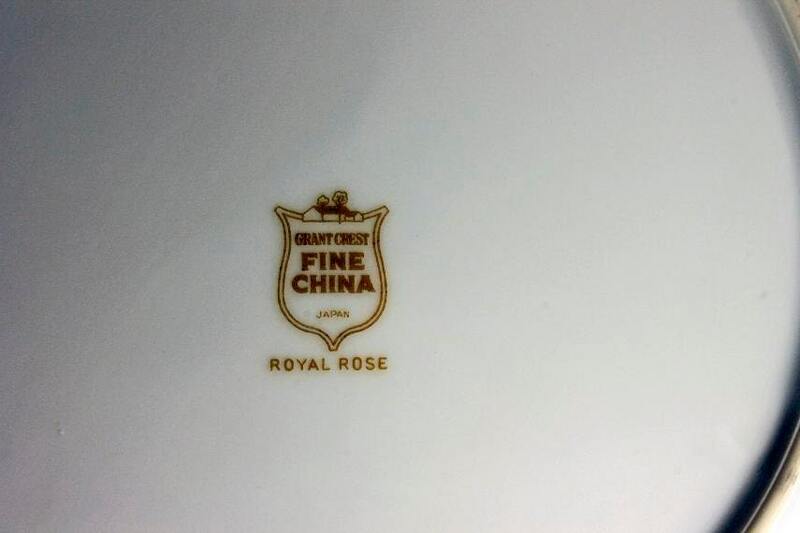 The rim of the plate is embossed and is outlined in gold. 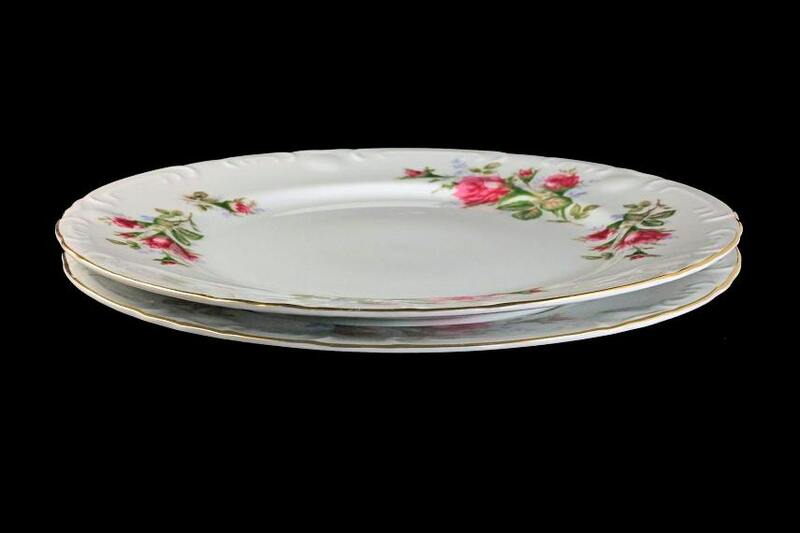 This is beautiful fine china dishware. These plates are wonderful replacement pieces. They would also make great serving plates. These plates are in excellent condition. 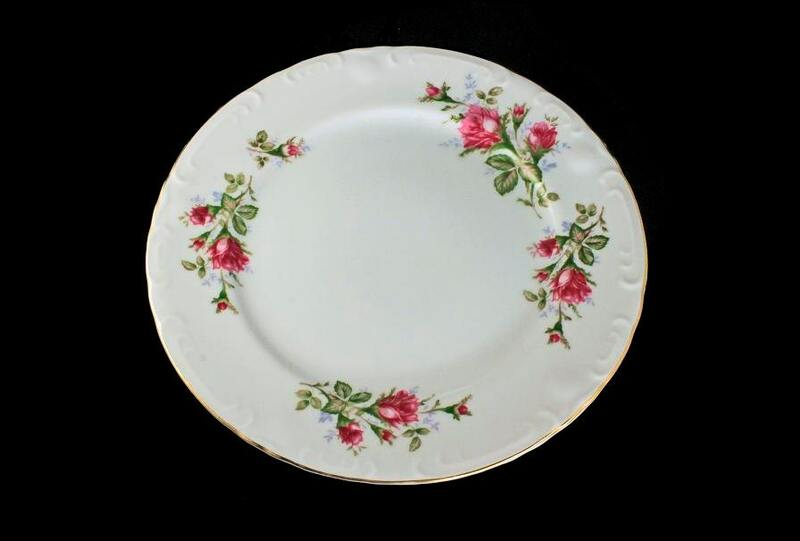 The plates have no chips cracks or crazing. The gold trim is almost rub free and there are no noticeable utensil marks.